When Vee Popat arrived at work on Thursday, October 6, 2011, everything seemed normal. Near mid-day, he checked the analytics for the website and social media accounts he maintains as director of sales and marketing for Nightmares Fear Factory, a haunted house and tourist attraction located in Niagara Falls, Ontario. 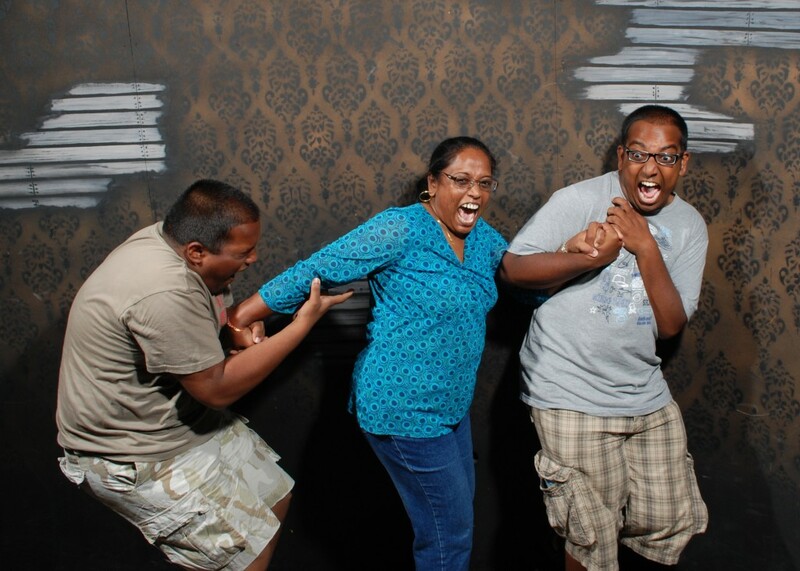 By the end of the day, Nightmares Fear Factory had received 60,000 unique visits — a one-day increase of 10,000 percent. Want more on this topic? Read my follow-up interview with Vee Popat: Life After Viral—5 New Takeaways from Nightmares Fear Factory. A quick glance through their Twitter feed provides an impressive media pedigree: the Toronto Star, ABC News, Good Morning America, The Huffington Post, The Wall Street Journal, Canada AM, and Digg.com, among others. They also got a shoutout on Jay Leno. Creating a strong social media campaign is impossible without equally strong conventional marketing backing it up. 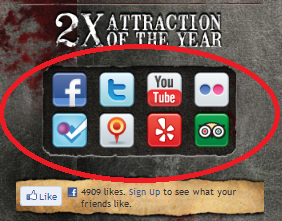 What immediately struck me about Nightmares Fear Factory is how adept they are at integrating social media with their existing web content. Their website has the kind of aesthetic you would expect for a haunted house: disturbing photos that allude to gore without actually showing it, fonts that look like blood smears, and creepy music (big plus — you can turn the music off). Beneath the window dressing, all the basics you would expect for a tourist attraction are thoroughly covered: directions and maps, hours, pricing, group rates, a FAQ page, etc. Three versions — static html, mobile and Flash — so that visitors can choose the browsing experience best suited to their needs. Online ticket purchasing, including discounts for buying online in advance and specific options for mobile phone users. Clear explanations of how the safe word process works for visitors who find the experience too overwhelming to continue. A 13 percent discount for buying tickets online along with other contests. Buttons for Twitter, Facebook, Youtube and Flickr where the brand presence is continued using complementary layouts. All four channels feature current content, which is impressive since Popat maintains all social channels himself. He does get support work where needed from Charlie Montney II and Taylor Toth, the web developer and graphic designer/video producer who work with him on the main site, respectively. Modified buttons for the mobile site, including foursquare and Gowalla. When I asked why they don’t include those buttons on the main site, Popat said they decided people were unlikely to check in to location-based social media platforms using desktop computers, which strikes me as a fair assumption. Links to Yelp and Trip Advisor among their social media button set (red and green buttons in bottom row above). I hadn’t seen buttons like these before, but they make a lot of sense for a small business that is also a tourist attraction. The practice also speaks to the company’s commitment to transparency in its communications and willingness to listen to user feedback (judging by my quick tour of websites for Canada’s Wonderland, the Royal Ontario Museum, Toronto Zoo, Ontario Science Centre and Ontario Place, this best practice makes Nightmares Fear Factory fairly unique among GTA attractions). Their Facebook page allows you to buy tickets online without visiting the main site and leave reviews. Youtube videos that are integrated with the Facebook page. A Twitter background that makes use of the best Flickr photos. Two photo galleries on the main website (Fear Pics of the Day; Top 10 Pics of the Week) that both include links to the Facebook account. 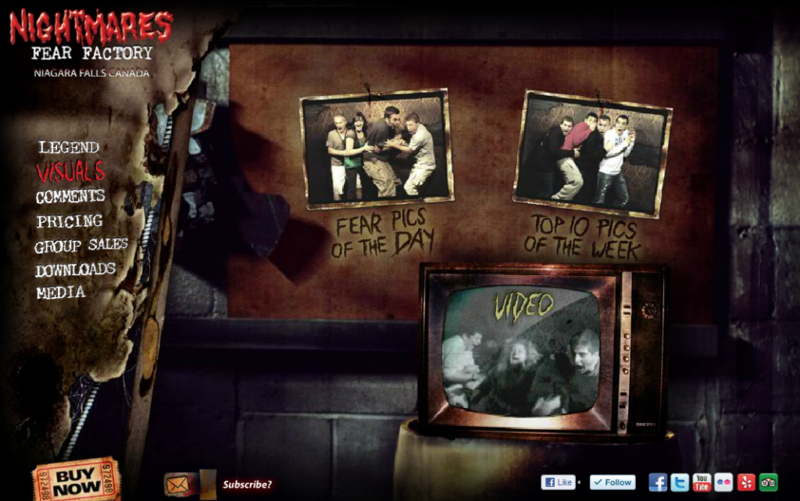 A video gallery on the main website that takes visitors directly to Nightmares Fear Factory’s youtube page — Popat explained this is a recent change since the media interest they received crashed their original server and forced an overhaul for how their site handles video. Changing from streaming video to youtube redirects was a contingency plan to reduce the load on their server, but Popat anticipates that embedded youtube videos will replace streaming video on their pages as they complete the website overhaul. Why is all this detail significant? Because when Nightmares Fear Factories’ 15 seconds of fame arrived, they had the structural underpinning in place via their web and social media presence to support and direct the traffic surge in meaningful ways. And that speaks to the insight of their strategy. When I started researching this post, one of the things I liked best about Nightmares Fear Factory is the clear distinction between their Facebook and Twitter accounts. Both feeds are celebratory, engaged, and feature similar content, but the wording and tone are different, implying that a real human is doing the posting in both places. When we were planning the strategy, I felt Twitter and Facebook speak to different audiences who respond in different ways to content. So while the links, photos or video are often the same, the words or tone referring people to them are different. I try to change it up and keep both platforms fresh. What immediately stands out about both feeds — both before and after the viral surge — is that they are used to engage with prospective, recent and long-time visitors and fans. When I viewed the Nightmares Twitter feed on October 16, 2011, it included plenty of @ messages. I haven’t done a scientific study, but Popat seems to follow Scott Stratten’s (@unmarketing) rule that you should reply on Twitter far more often than you plug your own material. Some tweets shared media mentions, directly answered visitor concerns (including one that was clearly about a complaint) or acknowledged related blog postings by Nightmares fans. Their Facebook page also includes likes for other Niagara Region attractions, which is good online citizenship for a tourism-focused businesses. More importantly, for every post Popat makes to the Nightmares Facebook Wall, there is at least one from another Facebook user — and almost every single one had a reply from Popat. 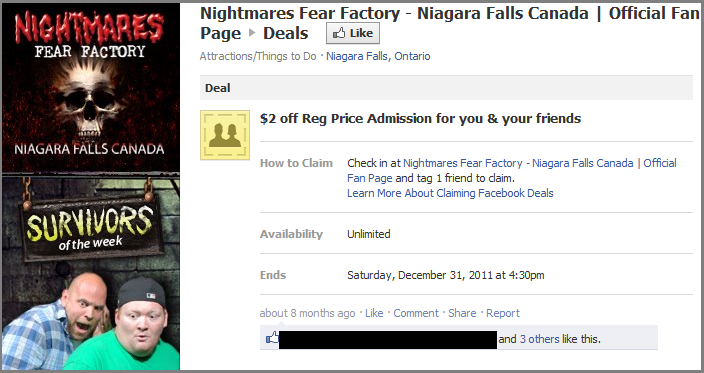 As I mentioned in Section 1, the Nightmares Fear Factory Facebook presence is robust enough that visitors can research the attraction, plan a visit and buy tickets without necessarily visiting the main site. Taken collectively, these elements demonstrate an understanding of the user experience and a willingness to put guest convenience ahead of pushing traffic to a central site. I wonder how many other tourist attractions can make the same claim. 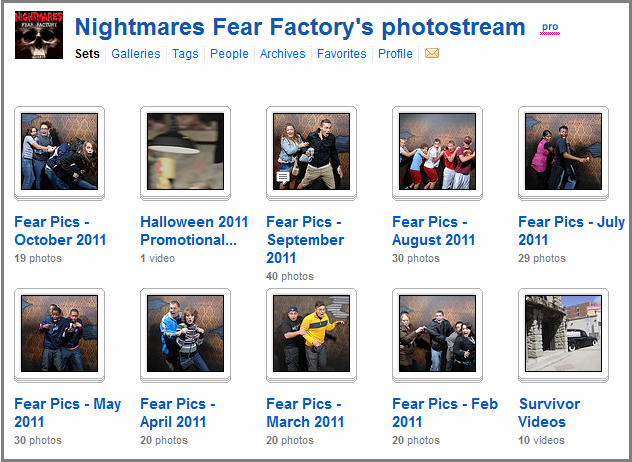 It does not shock me that Nightmares Fear Factory’s explosive popularity came in October. 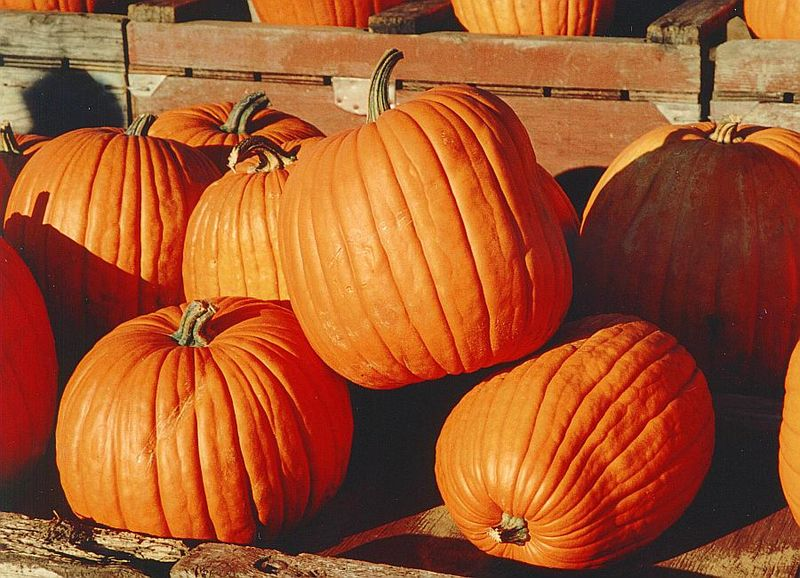 Their content is an excellent tie-in for Halloween coverage — scary, funny and something you can actually do if you live near or can travel to Niagara Falls. Most importantly, their ready-made content (photos, video, etc.) makes talking about their story incredibly easy for time-challenged producers and reporters. And with strong brand integration on a variety of social media channels, it’s easy for the people reading mainstream coverage to become brand messengers by sharing content within their personal networks. Popat has also covered his conventional bases by making a press release about the viral phenomenon, along with contact information, readily available on the Nightmares site when it became clear some kind of official statement was needed. 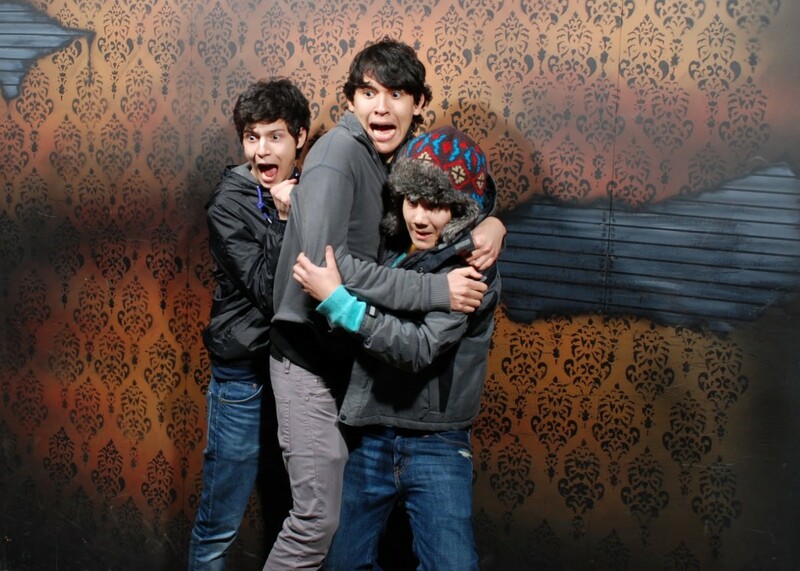 Looking at photos of people losing lose their minds in a haunted house is a perfect combination of hilarity, voyeurism and fun — and advertising. But the media firestorm didn’t come during their first Halloween in the social media landscape. In his interview with the Toronto Star, Popat confirmed Nightmares Fear Factory has been on Facebook for two years and Flickr for a year. We feature the kind of things you’d want to pass along to your friends: an outrageous video that’s about to go viral, an obscure subculture breaking into the mainstream, a juicy bit of gossip that everyone at the office will be talking about tomorrow, or an ordinary guy having his glorious 15-minutes of fame. And when you read BuzzFeed, you’ll always know the movies, music, and products that are on the rise and worth your time. You can join the fun by reading the latest at BuzzFeed.com, subscribing via RSS or email, adding the BuzzFeed widget to your site, and contribute by posting your own images, videos, links and comments. 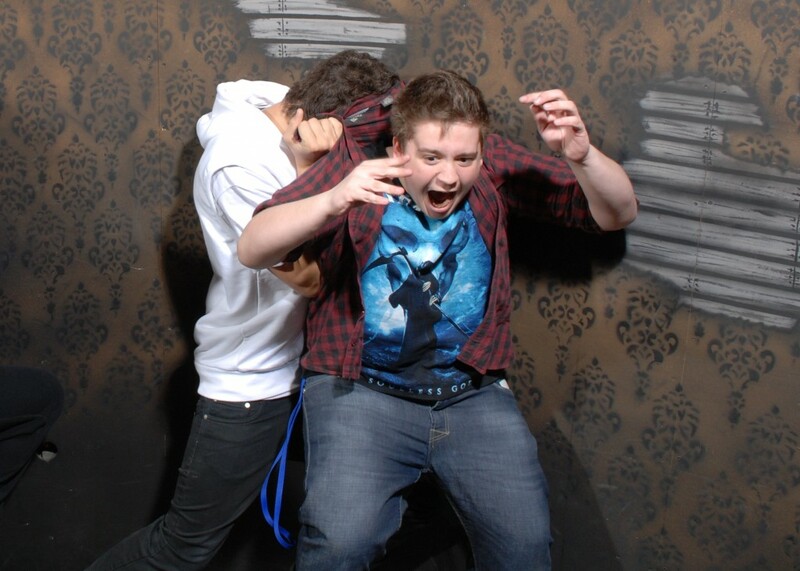 Popat acknowledged he had never heard of BuzzFeed before it amplified his traffic to kingdom come; he’s not sure who exactly decided to pick up Nightmares Fear Factory’s photos and make them the Internet’s newest cool kid. The lesson is clear — you can have the best content in the world but it STILL takes a lot of time and effort for the right people to find your material. And while hindsight is 20/20, it’s hard to tell exactly who needs to see your stuff for your content to go viral. The biggest question Popat gets from visitors, reporters and social media friends alike is the obvious one: What the hell are those people looking at in the photos? There is a certain genius in Nightmare Fear Factory’s decision to focus exclusively on the faces of their terrified guests. On some level, it doesn’t matter what is scaring them. Young or old, men or women, the photos show humanity at its most wigged-out. I read through a lot of the existing media coverage prior to my conversation with Popat. Aside from vague references to areas where the walls appear to be closing in and other displays that prey on individual phobias, the factory secrets appear remarkably well-kept. Elizabeth Monier-Williams: Now that Nightmares Fear Factory is attracting global attention, do you have a strategy for dealing with spoilers — either malicious or unintentional? I saw the cautionary video about what happens to people who try to bring camera equipment in and thought it was clever. Vee Popat: Yes, we did that to try and shut down the speculation in an amusing way. Some spoilers have emerged because of the media attention. People who live far away and can’t visit really want to know what’s scaring the people in the photos. We get people online saying “I was there last week, it was this or that.” So far, no one has hit the nail on the head. For one thing, people think there’s just one room — but there are multiple levels and it takes 10 to 15 minutes to walk through the various scare points. I monitor what’s said on social media, but I don’t delete it. In a way, that would acknowledge [the accuracy of] it. It’s really dark in there. People have no objective way to know what they’ve seen. The maze is designed to draw on the power of suggestion; part of our strategy is to deflect or undermine individual perceptions. If staff members get asked about this thing or that thing, their response is often just to shrug. Mystery helps spread the curiosity. We prey on a tonne of fears. EMW: Does you periodically tweak the experience to keep it fresh for returning visitors or mitigate spoiler damage? VP: As much as possible. Sometimes that happens every month but always at least once every season. We just put something new in there and you can hear screams from the lobby. We don’t photograph visitors at every point. The cameras are very, very hard to set up in the maze conditions. It took us a long time to get the angles right. And in some places, you can’t put cameras due to logistical constraints. EMW: Do visitors have to check their cellphones and cameras at a desk? VP: No. We have people in there who will tell you to put your camera away if they see a flash or light. But honestly, the darkness is prohibitive. People have no idea where they’re going or what’s next, so they don’t know what to photograph. They want to use their cell phones as flashlights more than anything. I also asked about visitor privacy regarding photos and video given their extensive use in Nightmares Fear Factory’s marketing materials. Notices advising visitors that they will be photographed and/or recorded are present in both the lobby and on the website. Visitors can also sign a waiver for photography and video before they enter, but the photos tend to be a pride point for guests. Although social media often feels like it functions completely at the level of instant gratification, the truth is that true overnight Internet sensations are built with time, energy and effort. It’s something all marketers and communicators should all keep in mind when trying to secure more resources or sell a direct report on the ROI of a new campaign. 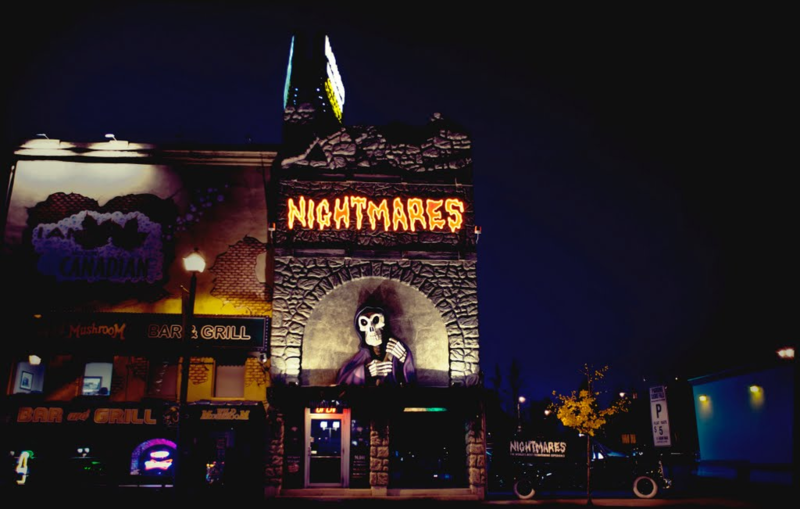 Nightmares Fear Factory demonstrates that a strong connection between regular and social media marketing can yield huge payoffs, but only if you’re willing to commit the time and energy to doing it right. As for me, I am not likely to visit Nightmares Fear Factory. Given my track record with horror movies, I would probably get a Chicken Card three feet through the door. But if you have, let’s talk about it in the comments. I’d like to thank Vee Popat for being so quick to respond to my request for an interview and for his generosity with his time. Thanks for linking to my post on social syndication. Good discussion on why real human posting is a good. Great case study! Thanks for sharing this. Really interesting article. I learned a lot. Publicity is good, but having great content is #1. Thanks for reading, margaret y. I’m glad you found it helpful. Hey! Can you please email me Vee’s contact! I can’t find it and we’d love to talk to him about some social marketing work. He seems like the best in the biz!